The much anticipated Rogue Holiday Market is back and for the first time ever is TWO DAYS! 50+ vendors will be hawking their wares and art at the Holland Project December 8-9th along with some food trucks, hot coffee, and other treats. Rogue celebrates the work of independent artists, crafters, and makers from throughout the region and is your one-stop-shop for the highest quality, one-of-a-kind, and most radical gifts each holiday season. 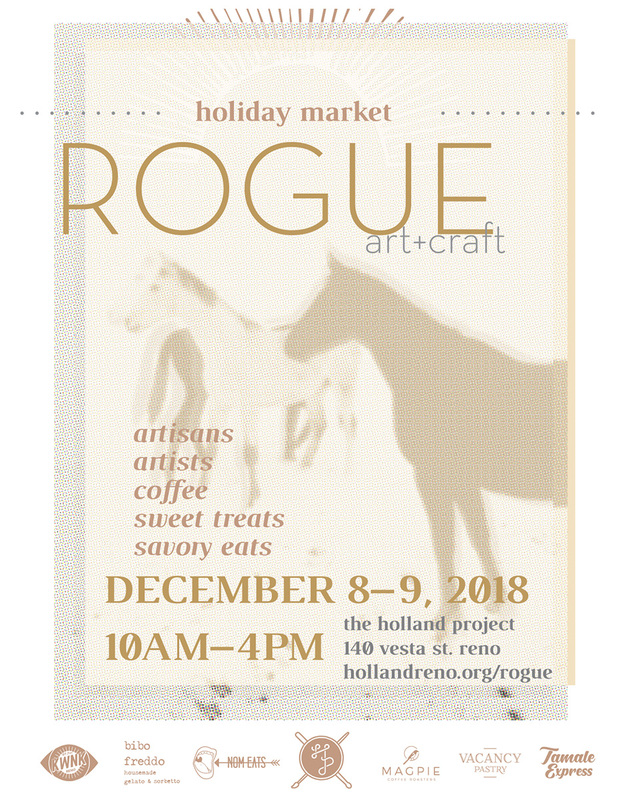 For a full list of vendors tabling at this year’s event, please visit hollandreno.org/rogue!